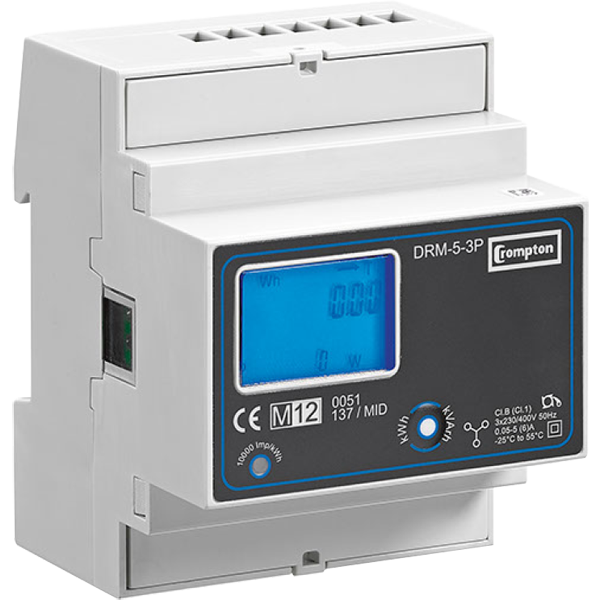 The DRM-5-3P is an MID approved 4 module wide, DIN Rail mountable electricity meter from Crompton Instruments. It is rated at 5 Amps, current transformer operated and packed with additional features. 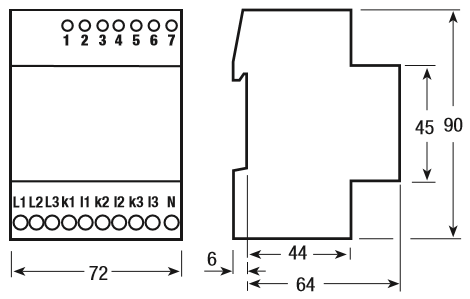 As standard, it is an Import & Export meter with both registers available for Dual Rate reading. 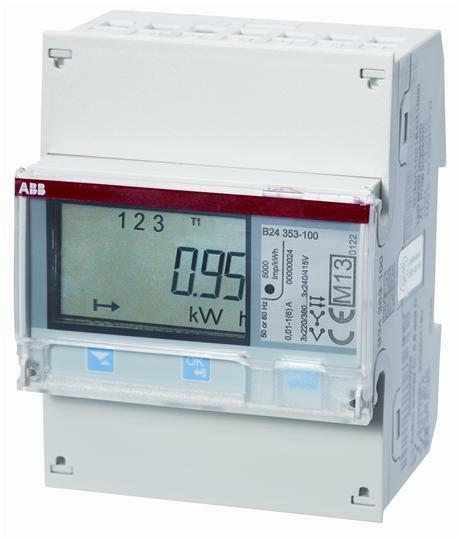 The back lit LCD display presents Import & Export Active Energy (kWh) accurate to class 1 (1%) and Reactive Energy (kVArh) to class 2 (2%). The power bar indicates, in 10% increments, the fraction of maximum demand at all times. The display also indicates whether the Reactive Energy is inductive or capacitive. 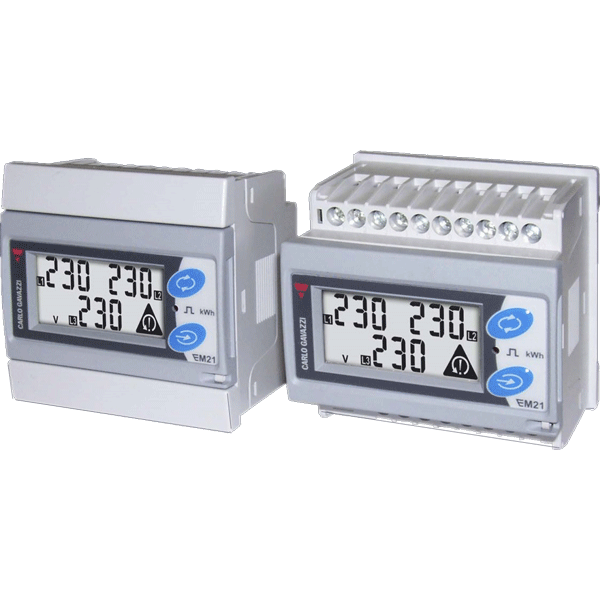 This meter comes with terminals for a pulsed output for kWh, a pulsed output for kVArh and for a tariff change command. 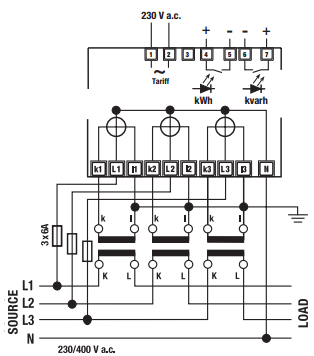 Additional communication is available through a one module wide communications module which is read through an infrared port available on the meter. 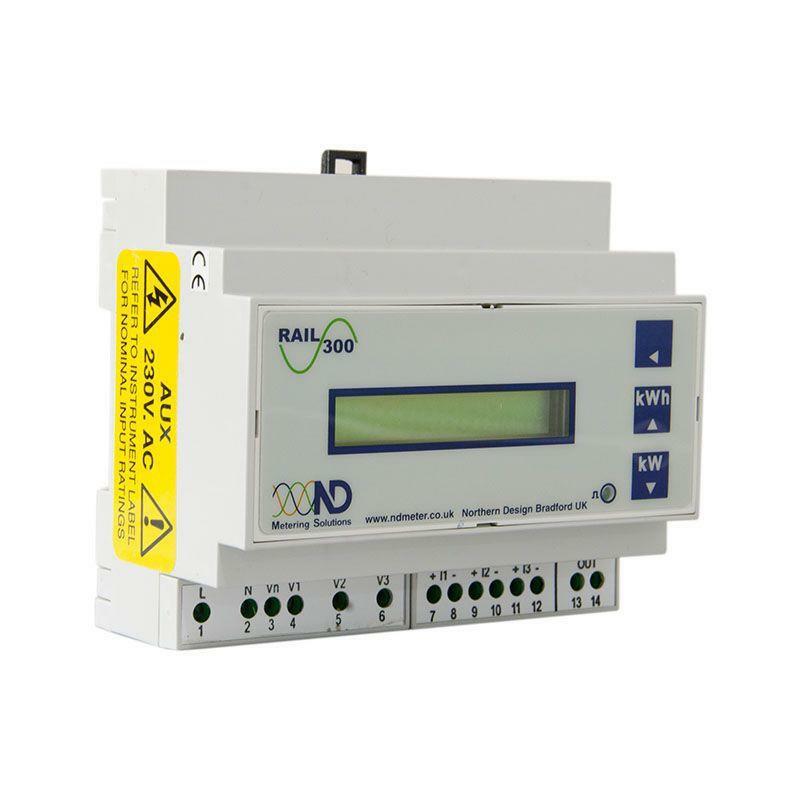 Options are: M-Bus, Modbus-RTU RS485, SD card data logger and a power supply transformer for data loggers.